Leave a message for Will using the form fields below. If you have any questions, please contact us at (212) 269-7800. For general inquiries, email compliance@ingalls.net. Will McHale is an analyst and portfolio manager. He employs a value investment approach to identify compelling and durable businesses trading at a significant discount to intrinsic value. Will believes a long-term focus can provide an investor with a significant competitive advantage in the pursuit of superior returns. Prior to joining Ingalls & Snyder, Will worked at Axiom Investors LLC in Greenwich, CT, where he researched U.S. Small Cap equities. Will received his B.A. in Political Science from Yale University, where he worked in the Yale Investment Office, contributing to the management of the University’s $25 billion endowment. He played linebacker on the Yale varsity football team for four years and was elected team captain his senior year. After graduating, Will played football in Paris for one season with the professional team, La Courneuve Flash. 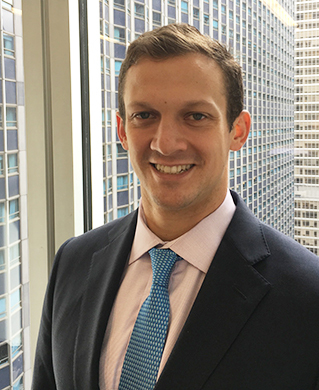 Will has passed all three levels of the Chartered Financial Analyst (CFA) program. Will lives in Manhattan and serves on the board of The D10 Decathlon, which raises funds for pediatric cancer research.